Celebrating 50 years of success and continued growth. 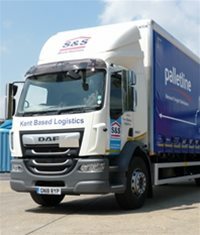 S&S Distribution are one of Kent's most experienced and professional logistics providers. Please get in touch to discuss how we can provide solutions to your logistics needs. The UK's leading palletised distribution specialists offering innovative services right across the UK and Europe. At S&S Distribution we will get your consignments there safely, on time and in line with your individual specifications - from single pallets to full loads. Delivering to local, regional, national and European destinations. We can fulfil all your palletised transport needs. is a complex journey through a finely tuned hub and spoke system. Meaning your pallets can travel quickly and cost effectively throughout the country. Follow the link to see how. At S&S Distribution, we pride ourselves on forging long term partnerships. Here are some comments from our loyal customers.